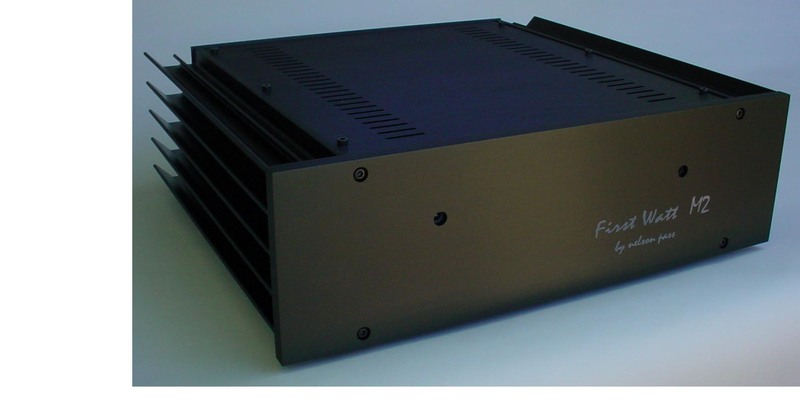 The First Watt M2 is a two channel audio power amplifier delivering 25 watts per channel. It uses JFET and MOSFET transistors operating in Class A mode without negative feedback so as to produce a more musically life-like sound. Negative feedback is a technique in which the input gain stage of an amplifier compares the input musical signal with the output of the amplifier and outputs a signal to the remainder of the amplifier which incorporates the original music mixed with corrections to reduce the errors made by the rest of the amplifier. If an amplifier has high distortion, then negative feedback is very helpful in cleaning up the output going to the loudspeaker. Nevertheless many audiophiles view it as a necessary evil, affecting the musical quality of the sound since it involves mixing output errors and re-amplifying them. Excessive use of negative feedback creates issues with stability and although it improves the measured performance, is often associated with “sterile” sound character, and “subtracted” musical detail. The M2 is a simple circuit whose output stage consists of a pair of complementary power Mosfet followers biased into pure Class A mode. These devices are the current gain stage of the amplifier, very linearly following the musical signal produced by the voltage gain stage. 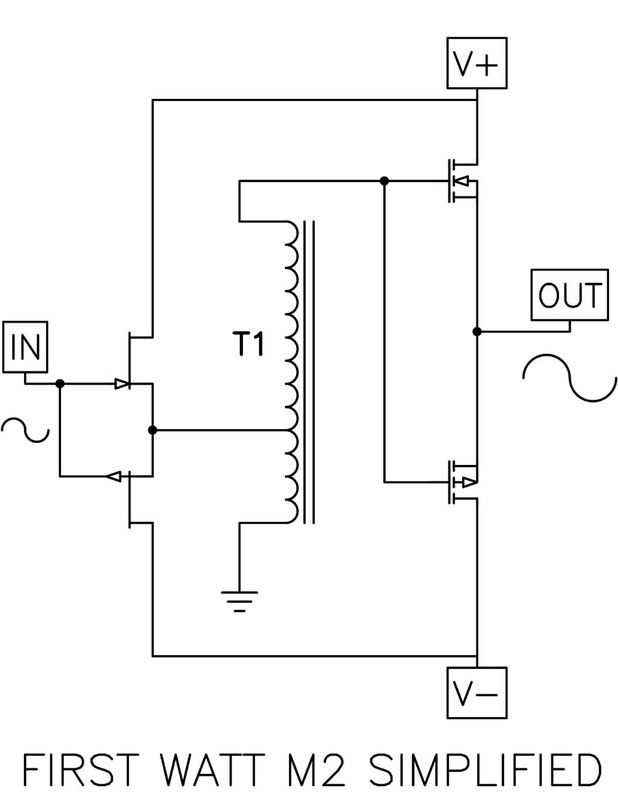 The voltage amplification is created through an auto-former which magnetically multiplies the input voltage. Great attention has been paid to the linearity of the gain stages of the M2, resulting in a power amplifier whose performance is good enough to avoid negative feedback altogether. This is rarely achieved at a reasonable cost, and at this time the M2 serves as one of the best examples of the benefits of an amplifier with passive voltage amplification and no feedback. The design is extremely reliable and will never need adjustment. It achieves a relaxed sound with a very organic character and dynamics well beyond the expectations of the power rating. The simplicity and performance of the circuit allows a unique sonic experience that is likely to make you go through your entire record collection all over again.